Many thieves, criminals, and intruders will often masquerade as handymen, painters, and plumbers to survey your premises, so you should always be wary of individuals peddling or offering unsolicited services. Home security is not always guaranteed, and in some cases, burglaries are usually facilitated by negligence by the homeowner. The best way to ensure your personal safety and that of your property is to ensure you control access to your home and maintain it as well. Most home security procedures are usually easy-to-use and do not often require much investment concerning hardware and software. Public security, on the other hand, requires the use of complicated procedures to identify any civilian visitors. When it comes to areas accessed by the public, there is a higher security risk, and stringent procedures must be conducted to ensure the visitor is not a security threat. 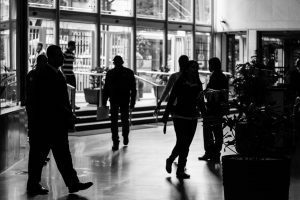 Here are some of the most common public security procedures people must undergo when accessing a business premise or federal building. This is a kind of public security procedure that entails checking a vehicle’s history by capturing its license number as well as the issuing state with a License Plate Recognition camera. This could at times be coupled with under-vehicle scanning when there is need to conduct a thorough inspection of vehicles. While it is possible to input the vehicle information into a security management system manually, the automation of license plate recognition boosts the security level for manned and unmanned entry points. Once this information is acquired, the vehicle is then vetted against all external and internal data sources to establish whether there could be a potential threat linked to the car. If the vehicle were previously involved in a crime, it would probably show up against a record on the wanted vehicle file. This vehicle was perhaps associated with a crime on-site and security should be informed of its return. 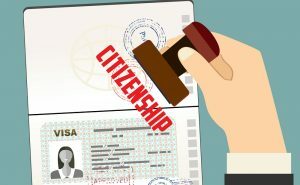 When accessing some business premises or federal buildings, you will need to undergo a citizen verification through E-Verify. The same case is applied before a new employee is issued with a company badge since work eligibility checks must be conducted. And in instances that would require a recheck after the expiry of specific documents, an automatic trigger should repeat the verification process to confirm an individual’s eligibility. All designated staff shall be alerted immediately in case of any red flags. The key to an entirely efficient public screening process is providing security with all tools and information they will require to confirm the identity of anyone who is seeking access to a particular premise. An efficient visitor management system should give you an array of options regarding ID photos. With some systems, it is easy to capture the photo on a driver’s license and upload it for fast access. This will make it easier for you to compare the individual’s photo when on a computer screen as opposed to when it is on the driver’s license. And in the event that the photo ID doesn’t match the current appearance of the person, an immediate alert should be issued. Checking the validity of an ID is more complicated than merely comparing a picture to the person’s face. Even professionally trained individuals might not spot a fake. 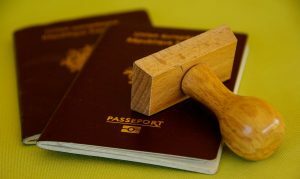 An individual would need to spend a lot of time familiarizing themselves with the ever-evolving library of passport and driver license templates, perhaps with languages they are not familiar with. Even a standard ID scanner will only collect data but will do nothing to establish the document’s authenticity. All public facilities checking ID’s must always use ID authenticators. Besides collecting information from a passport and driver’s license, they will concurrently authenticate the credentials against a database of templates to ascertain the authenticity of the ID and that it has not been altered or forged in any way. While home and public security are equally important, the security procedures for both are entirely dissimilar. While not much attention goes to home security procedures due to the security risks associated, public security procedures incorporate numerous verification procedures that must be done before a visitor is granted access to a public facility.